Motiv: Ringelrobbe. Wir wünschen Ihnen viel Spaß beim Stöbern! Priced individually. Lots & Collections. Large Souvenir Sheets. - INTERNATIONAL SERVICE. Turkménistan, Scott Cat. Papillons Feuille de 4. Turkménistan, chat de Scott. feuille de papillon 4. Topic Butterflies. 1992, 1 year of independence, Saparmurad Niyazov (1940-2006), President w. National flag. 1992, 1 Jahr Unabhängigkeit, Saparmurad Nijasow (1940-2006), Staatspräsident m. Nationalflagge. Fehler/Mängel, falls vorhanden, werden sorgfältig beschrieben. Turkménistan Bloc 2 (complète.Edition.). litiges en ligne. (30,32,33,34) aus einem Satz mit sechs Werten, Auflage nur 125.000. Der angegebene Preis ist ein Endpreis zzgl. 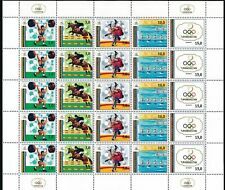 Cheval de Turkménistan 10r 1992 & Rider Sc #4 MNH 33277. Type Individual. 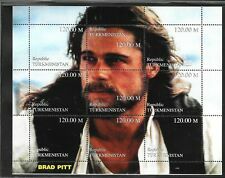 Quality Mint Never Hinged/MNH. Turkménistan, Scott Cat. Papillons Feuille de 4. Turkménistan, chat de Scott. feuille de papillon de 4. Topic Butterflies. 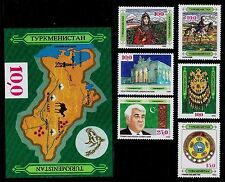 Turkmenistan S/S's. Map & Barcelona 1992. Mint - NH. 1992 25r Nizayov & Flag, 2 different, in issued colors but imperf, and imperf Trial Color Proof (TCP), unusual & VF. Tema Realeza. Calidad Nuevo sin charnela (MNH). 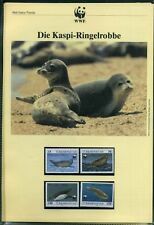 1,30 EUR prix catalogue, selon Michel Ost-Asien 2011. 2,00 EUR prix catalogue, selon Michel Ost-Asien 2011. Turkménistan, Scott Cat. Papillons S/Feuille. Turkménistan, chat de Scott. papillon s/feuille. Topic Butterflies. All stamp(s) in HECO envelope, please look at pictures for all details and title for full description!!! 0,70 EUR prix catalogue, selon Michel Ost-Asien 2011. A rare and unusual oddity. On the 1st souvenir sheet from this ex-Russian Republic the horse's head which normally appears in the upper right hand circle is missing. 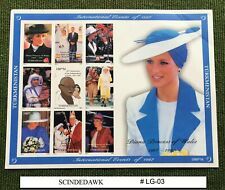 Also included is the normal souvenir sheet.